Come play some games! Young and old will enjoy all we have to offer! 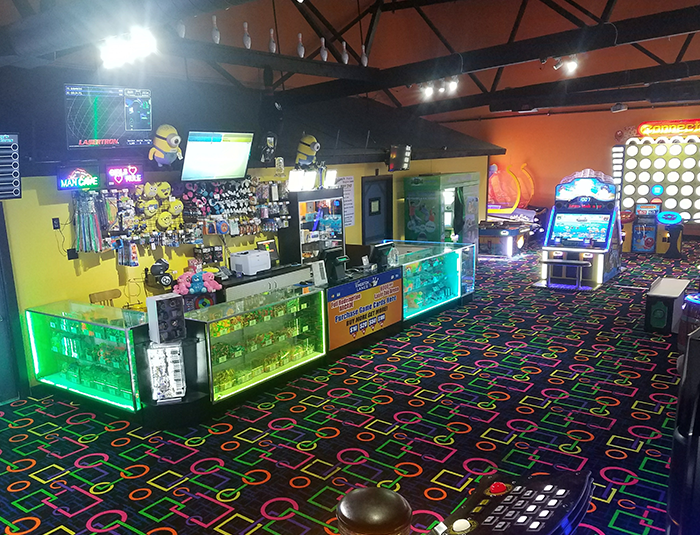 State of the art Laser tag Arena spans over 6000 Sq.ft with multiple game modes. We can accommodate upto 28 players at once. **A minimum age of 8 years and 42 inches tall is required to do Laser Tag.